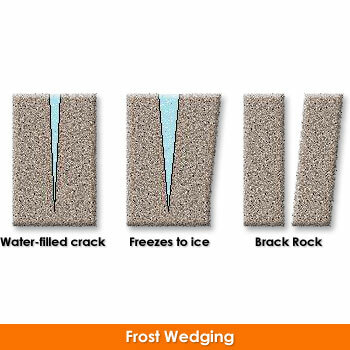 The process of freeze and thaw is a type of weathering. When there is a crack in a mountain when it rains that crack will fill up and when it becomes really cold at night it will freeze and when it is sunny maybe the next day it will thaw out. But if you or I were to do this with a rock the rock will eventually break.